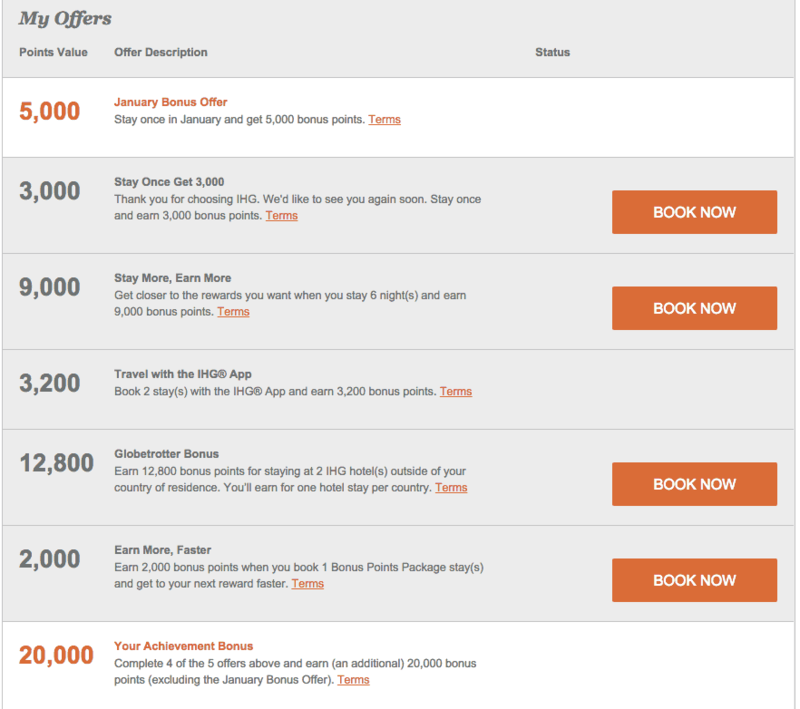 IHG, the mother brand of Holiday Inn, Holiday Inn Express, Crown Plaza Intercontinental etc is back with a very generous Accelerate Spring promotion. I like their promotions as they can be very generous and currently this seems to be on the leader board of hotel promotions for the next quarter. 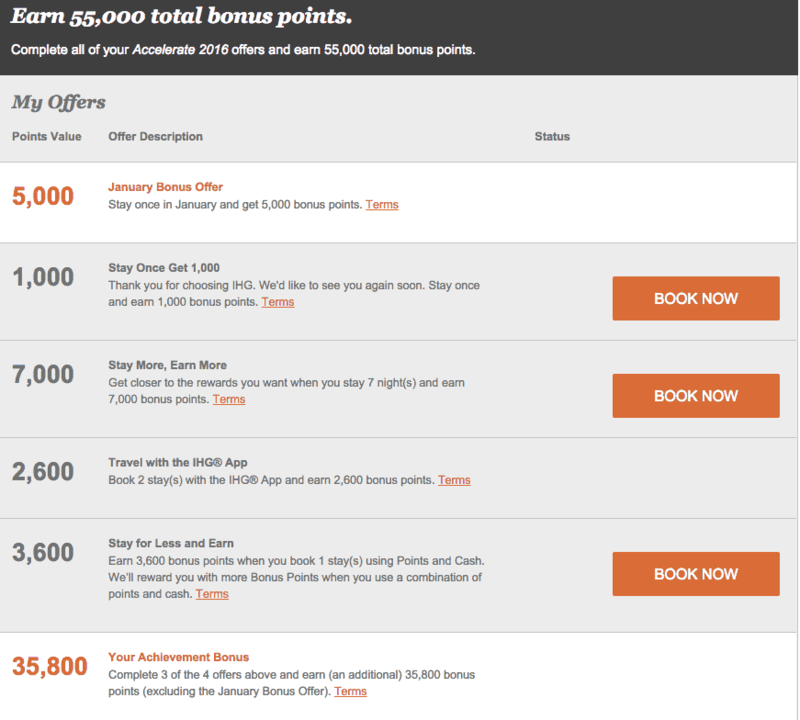 I wrote about the previous Accelerate promotion which was very generous for new members but not so much for any existing IHG Club members. Now things seems to have changed and it looks good for all. You can find the link for the promotion here. You will have to complete your stays between the 1st of January and the 30th of April 2016. Plenty of time to plan a few cheap escapes. During their previous generous promotions I have earned three free nights in total with base points from their promotions. I used the points and free nights for the Intercontinental in Rome costing £300 per night, Intercontinental Makkah costing £300 per night and the Intercontinental Dubai Marina costing £150 per night. Considering that I spent about £150 for this promotion including hotels rooms that I had to book, it is a very general promotion indeed. The interesting part of this promotion is that it requires for me to stay two nights abroad in different IHG properties. Considering that I will most likely travel abroad before the end of April, I don’t see an issue with this. I might even check out the Holiday Inn Sofia while visiting family since the stays there are relatively cheap. My husband’s promotion on the other hand is even easier than mine since his doesn’t require a hotel stays abroad and has a bigger bonus for completing 3 out of 4 offers. I will most likely try to divide the promotions so we can earn both points. Considering that I only need to book two stays on my husband’s name it is very easy to achieve this promotion and earn 48,000 points (minutes the 7 nights required).